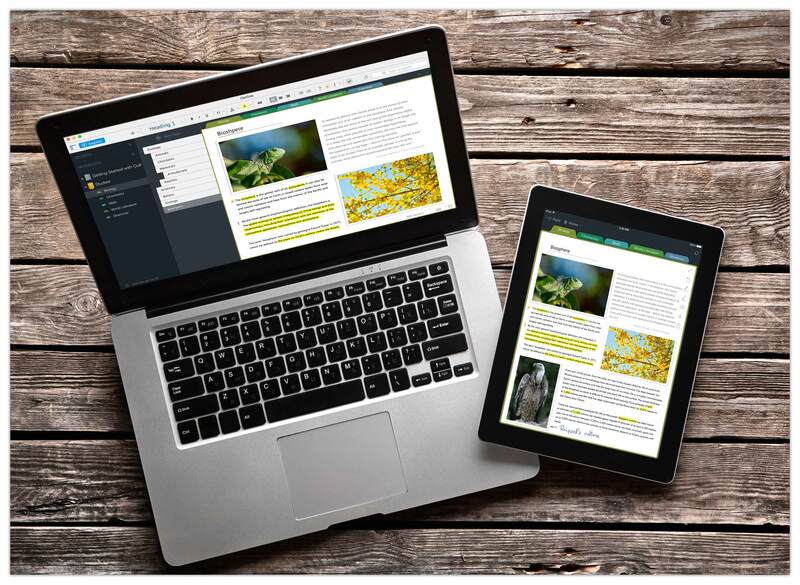 1) Outline’s interface is much clear-cut and user-friendly, and keeps a well-liked structure of the real paper book – notebooks, sections, groups of sections and pages to order notes as complex or simple as you like. This was checked by our users who tried both Outline and OneNote, so they are definitely able to draw fair conclusions. 2) In addition to OneDrive and SharePoint, Outline provides more synchronization options like Dropbox, Box, and iCloud Drive. It’s always better when you have a choice, isn’t it? People are so different and everyone wants to use that solution which is more suitable for their purposes. 3) Outline for Mac can store notebooks locally and iPad version allows to import or export notebooks using iTunes. Such way doesn’t require an internet connection, so you can work with your notebooks in any place, even where there is no internet, should it be airplane or territory outside the town. 4) When security of your information is on the first place, a passcode lock is at your disposal. iPad version allows to protect a whole app, not only sections. You will be offered to use a standard numeric password or Touch ID technology. 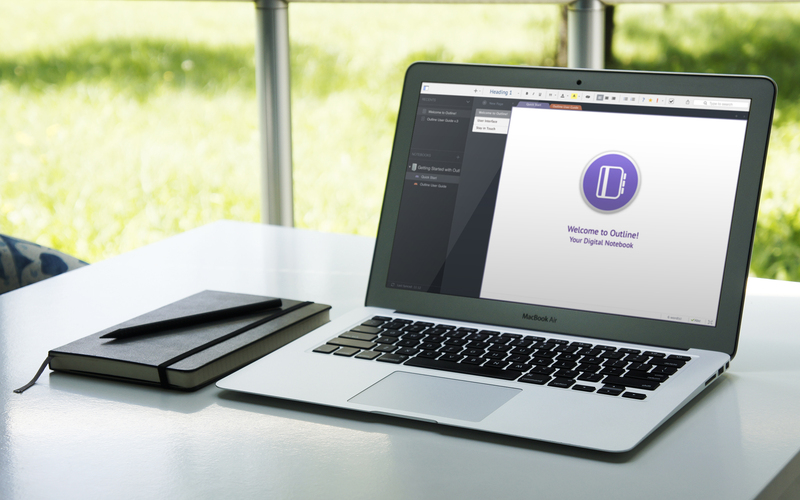 5) Unlike OneNote, Outline for Mac is integrated with the OS X platform more deeply. 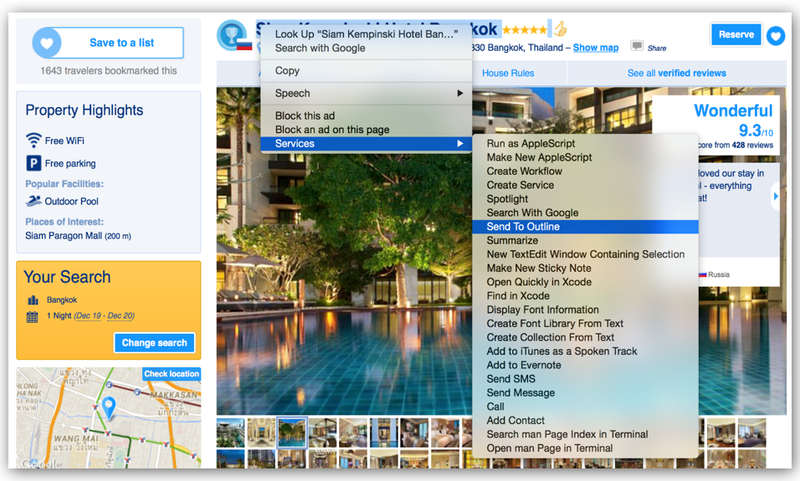 Outline supports such time-saving features as Services, Share Extensions and Print to Outline. You can import text and pictures from Safari or other apps to Outline via contextual menu and Share sheet; convert web pages or images to PDF and print them to Outline as printout or PDF attachment using standard Print dialog window. All these options are irreplaceable and extremely useful when you need to collect information in one place and in a few clicks. 6) Outline for iPad provides a full-fledged handwriting mode. It allows to write notes right in the special zoomed field which navigates through your text within one line. You may simply start the new one when you need, tapping the new-line button. You needn’t worry about the position of your written notes on the page, Outline will do that for you! All text you write in this field is reflected on a page in a smaller size. 7) “And what about price?” you may ask. Yes, OneNote is free, while Outline costs money. However, in this case you get more personalized product. We analyze requests from our users and release new versions with hot features and improvements every month, this allows us to bring fresh opportunities and sort well with the main trends. Our customer support is very responsive and always aims to help you with any questions or issues. Don’t you want to get most comfortable conditions and liberties? We are sure that the answer will be “yes”. Now you have cleared up that Outline outperforms OneNote in many aspects. So why not test it yourself? What’s New in Outline 3.2. Outline for iPad and Mac has been updated to version 3.2. Newest Mac version includes OS X Services and improved tables tool. iPad version also provides more opportunities to create and edit tables, minor bug fixes and stability improvements. Another time-saving feature of Mac OS X is Services that allows to quickly perform actions, using a contextual menu, instead of launching additional apps. This feature is primarily intended to provide capabilities of one app to another. Therefore, you can simplify multi-step process of data transfer between apps on your Mac. Where to start? First of all, you need to make sure that Outline is in the list of enabled services. 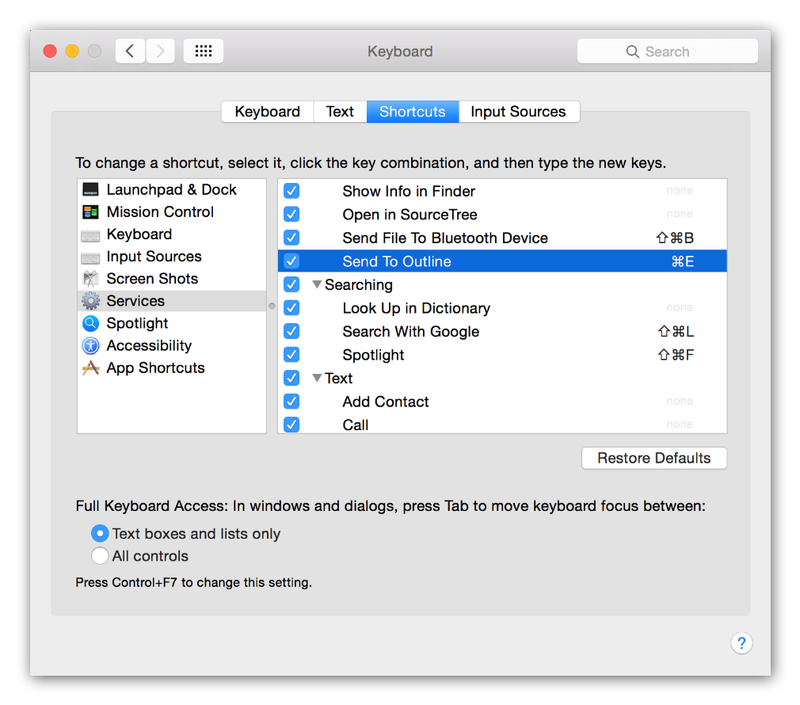 It will take not more than a minute, just go to System Preferences, click on Keyboard icon and select Shortcuts tab. Then click on Services to see the full list of available services. Find there “Send to Outline” and set tick opposite it. You can also disable services you might not use in order to make Services menu more convenient and applicable for your needs. Now “Send to Outline” option will appear in the contextual menu that pops up when you right-click on file, image in the Finder or Desktop, selected text in Safari or in other apps. In the other hand, you can send data from Outline pages to other apps through the same contextual menu. You can also set keyboard shortcuts for this option from the Shortcut tab in System Preferences menu and get faster access. We tried to make a process of table creation more user-friendly and accurate. In Outline for iPad you now have at your disposal special dropdown menu that brings more power to already existing options. This menu lets you get all features of working with tables in one place – separate button is situated on the toolbar. We also added extended tables capabilities in the contextual menu for Mac version. 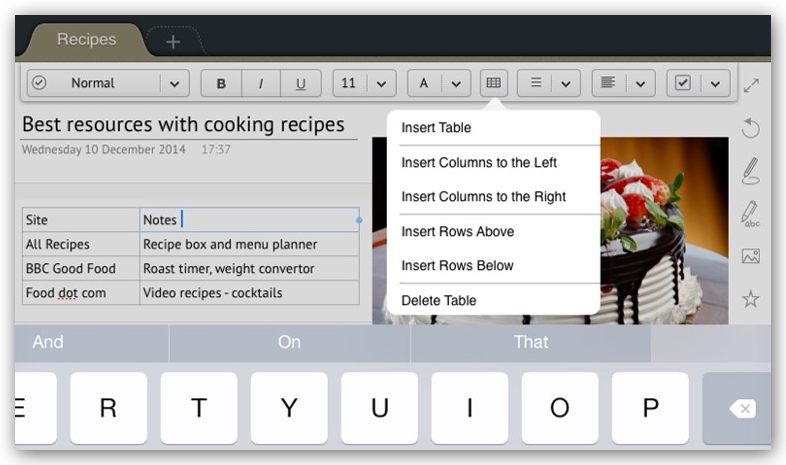 You can use this menu or new keyboard shortcuts to create, edit or delete your tables. We added some navigation shortcuts as well, so don’t forget to learn about new hotkeys from Getting Started Guide.